At 1,090,000 acres the Boundary Waters are the largest contiguous wilderness area in the US and with Superior National Forest along with Voyageurs National Park to the west and the Canadian Quetico and La Verendrye Provincial Parks to the north, they make up a large area of contiguous wilderness lakes and forests called the "Quetico-Superior country", or simply the Boundary Waters. at its best and most practical…up off bogs or ledges, roots or rivulets. 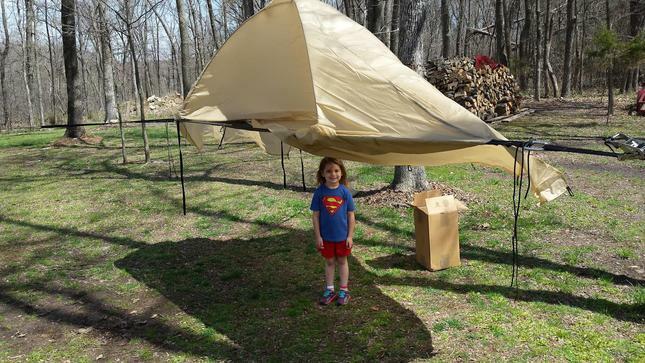 Right out of the box at home…with a little happy help from a Supergirl! .Stuff sack wrinkles dissolve shortly as Fly/Canopy is tied out. 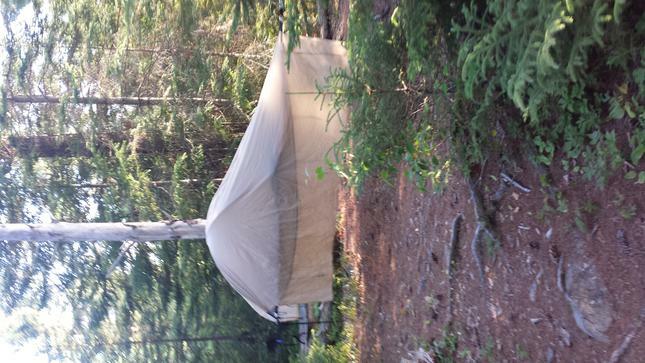 Really "in the groove" of Treez camping, clotheslines and all! I am more than pleased with my tent. 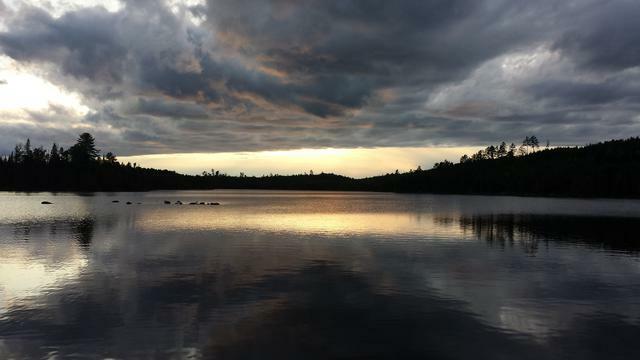 I spent 8 great days in my tent in Minnesota's Boundary Waters. Most comfortable tent I was ever in! I could sleep on my stomach, side, or back. I did not wake up all sore and tired like I would on the ground. Just so you know I don't think my trip would have been half as enjoyable without my ST-2. It was awesome! I was 20 years older than everyone and 40 years older than one young man, and I held my own with all of them I think because of the rest I was able to get with the ST-2. 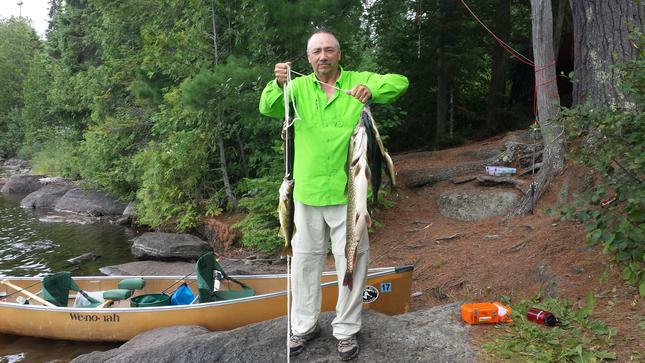 Those big fish you asked about are northern pike and the smaller ones are Walleye. 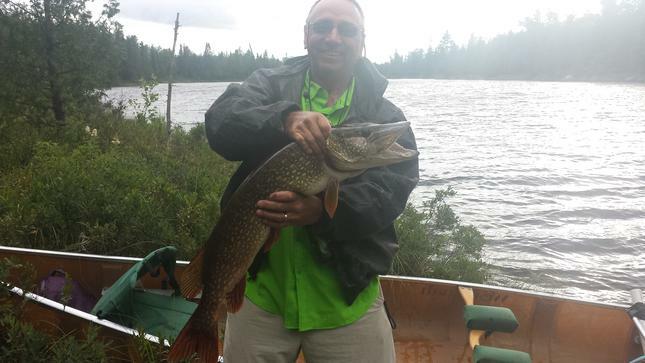 Everyone on our Boundary Waters fishing expedition liked my ST-2. Mike called it a space ship. I think I've learned a few things about it, I will set it up a little higher than I did, for better use as a chair. I can tie the rain fly back when not needed for rain, for easy entry. Most of my friends had good hammocks, one first time in one and he said he was going back to a tent so he could turn over when he sleeps. I told him how I could sleep in any position and be well rested the next morning. One hammock ripped and he fell though to the ground in a rain storm, and I just kept on sleeping. I get kind of cranky if I don't get my normal sleep each night. I spent 7 nights in the wilderness without one harsh word! I'll never go back to sleeping on the ground. Thank you so much. Thank you for getting me a great product and so easy to set up. 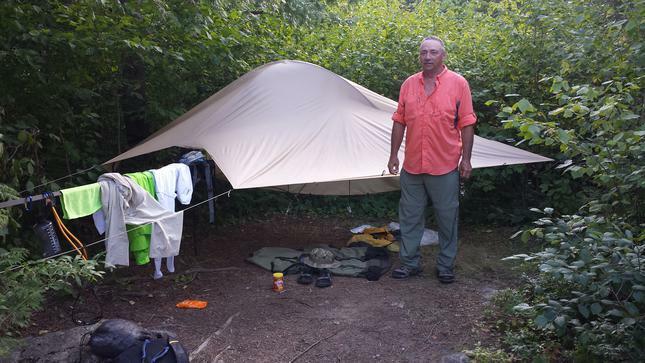 Rick's ST-2 going strong into another venture in the vast Boundary Waters after trail hiking The Boston Mountains in Arkansas a few weeks before. 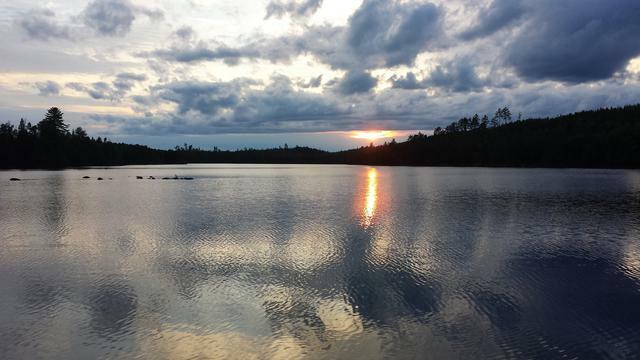 He says, while preparing to go in late June, " I can't wait to not only float in my canoe but float in my tent also," and "now getting ready to go to the Boundary Waters in a few weeks, I can't wait! I'm still loving it." 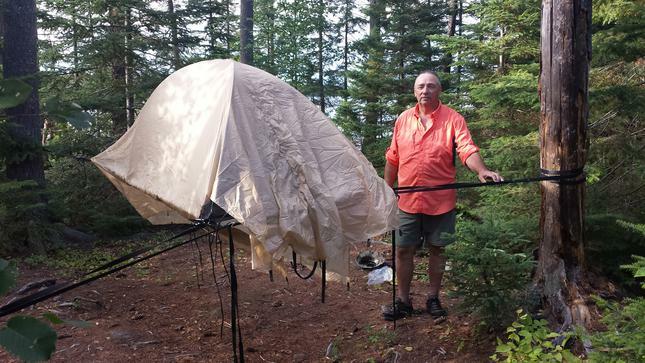 Upon return on August 7, Rick adds, "Tim, another great trip into the Boundary Waters, 8 days criss-crossing into Canada. Still loving the tent! We will always build Treez Tree Tents in the USA, and so durable, with reasonable care, that they will last and last...a balance of strength and lightness built to the best quality we can accomplish. We will always offer tips and tutoring and will assess, advise, and do repairs or supply parts and materials. 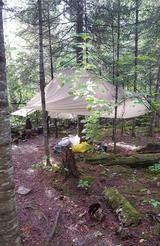 A comfortable, stable, level, easy, durable home in the woods, "Going where no tent has gone before!"